Unless you’re incredibly lucky or good-looking, a woman will rarely openly tell you she has feelings for you. In most cases, you will have to notice this from the signals she’s sending your way – consciously or not. But, some men are better at reading these signals than others. So, here are some surefire signs she likes you that you might not have noticed. There are certain biological indicators of attraction we simply can’t fight. For women, that can be a temporary voice change. Her voice may sound more childlike, high-pitched, and flirty when she’s talking to you. Touching someone doesn’t only mean we’re very comfortable with them – it may also be a sign we’re attracted to them. Pay attention to her behavior around you. Is she looking for excuses to brush your hand or hug you? That may be a good sign. We only smile at the things we like – food, dogs, girls – you get the idea. If you notice she’s smiling at you that is certainly a plus. Don’t hesitate to smile back – research shows that smiling makes us more attractive. According to research, there are more than 30 flirting behaviors and many of them are non-verbal. Next time you’re in the room with a girl you like, take a look at how she’s positioned. If she’s facing you with uncrossed arms, your chances are looking good. When we like someone, it’s natural that we get nervous around them. If she likes you, chances are she will be playing with her hair, biting her lip, or playing with her fingers and hands. So, there you go – five surefire signs she likes you. Pay attention to her behavior and try to pick up on some of these things to make sure she has feelings for you before you make your move. For years, men have been led into thinking that their testosterone levels were capped by their age. However, new research reveals that THIS IS A LIE! You can SMASH THESE BARRIERS EASILY by learning about this incredible new method that has men BUILDING MUSCLE and BURNING FAT! 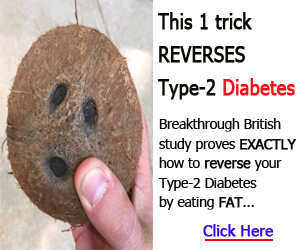 >> Discover the SECRET here!